Metals have vital functions as prosthetic groups in enzymes, but in labile form they can propagate oxidative stress. The primary function of ferritin is to store bioavailable iron in the form of ferrihydrite. In animals, ferritin is also used to traffic and recycle iron, and to modulate intestinal iron absorption. However, the effect of ferritin accumulation on cellular iron bioavailability remains poorly understood. Moreover, putative in vivo interactions of ferritin with other metal ions have been proposed, but their physiological relevance remains unclear. 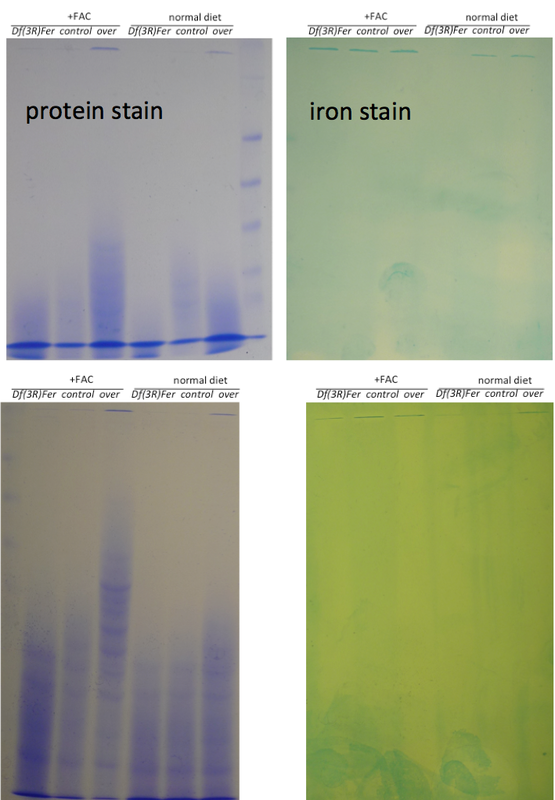 Here, heterozygous mutant and overexpression ferritin strains of Drosophila melanogaster were subjected to dietary iron manipulations to study the dynamics of iron partition between ferritin and other proteins. 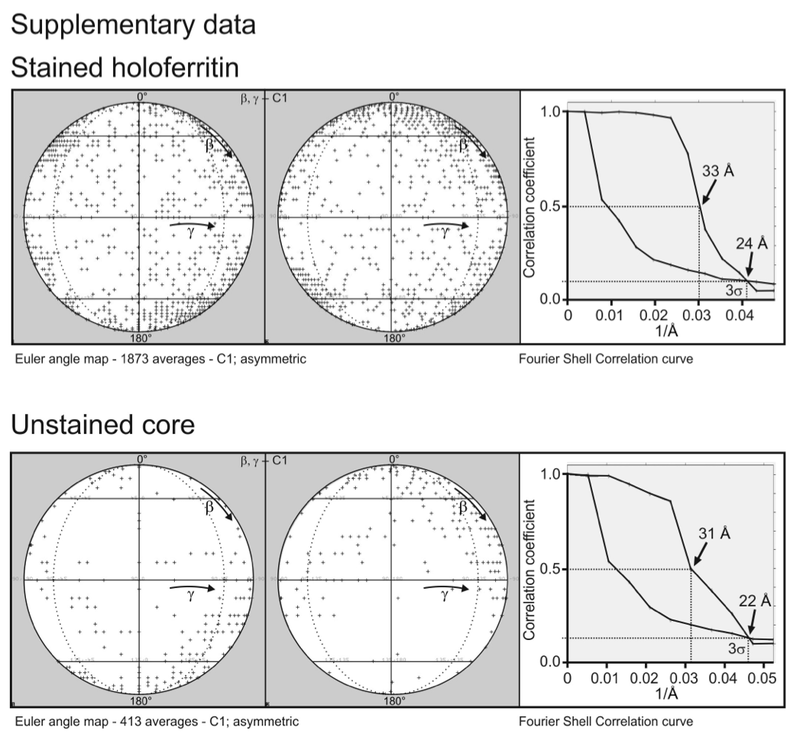 Quantitative magnetic analysis of whole fly samples indicated that iron loading of the ferritin core varied in the different genotypes. Total paramagnetic iron content, a likely correlate of bioavailable iron, was reduced in flies overexpressing ferritin when compared with control white flies. Further, three-dimensional maps of the ferritin protein shell and iron core were obtained from single particle transmission electron microscopy imaging and confirmed the similarity between Drosophila and Trichoplusia ferritin structures. Purified Drosophila ferritin also contained small amounts of zinc and manganese. Flies that overexpressed ferritin accumulated in their bodies half the amount of manganese compared to their respective controls. Our results indicate that ferritin may be involved in the homeostasis of other divalent metals, besides iron, and that overexpression of ferritin, sometimes employed to rescue neurodegenerative models of disease, serves to limit divalent metal bio-availability in cells.